Fellowships 2017-2018 for Graduate study or Research in Belgium. The Belgian American Educational Foundation (B.A.E.F.) encourages applications for fellowships for advanced study or research during the academic year 2017-2018, at a Belgian University or institution of higher learning. The B.A.E.F. will award up to ten fellowships 2017-2018 as outright non-renewable grants carrying a stipend of $27,000 for Master's or Ph.D. students $31,000 for Post-doctoral Fellows. 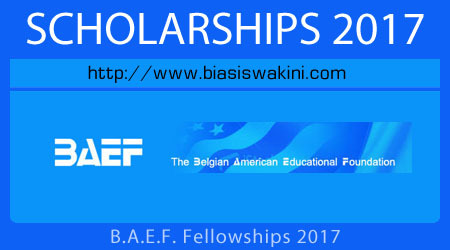 BAEF fellowships 2017-2018 can start between July 1, 2017 and December 31, 2017 and Fellows are expected to stay for a period of 12 months in Belgium. If the Fellow chooses to remain less than the full 12 months in Belgium, the stipend will be prorated accordingly. The minimum fellowship period is 6 months. In addition to the stipend, the Foundation will provide health insurance. No other supplements can be expected. - or hold a Master's, Ph.D., or equivalent degree. Post-doctoral applicants should by July 1, 2017 have no more than 2 years since obtaining their Ph.D. degree. Knowledge of Dutch,or French, or German is optional. Applicants should make their own arrangements to register or affiliate with a Belgian University or research institution. B.A.E.F. Fellows must reside in Belgium during the tenure of their fellowship. - For Applicants can be download the application form for the BAEF Scholarship from here. - Applicants must furnish undergraduate and graduate transcripts, a brief autobiographical statement, a statement of purpose, and 3 letters of recommendation. 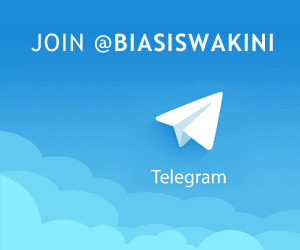 0 Komentar untuk "BAEF Fellowships 2017"